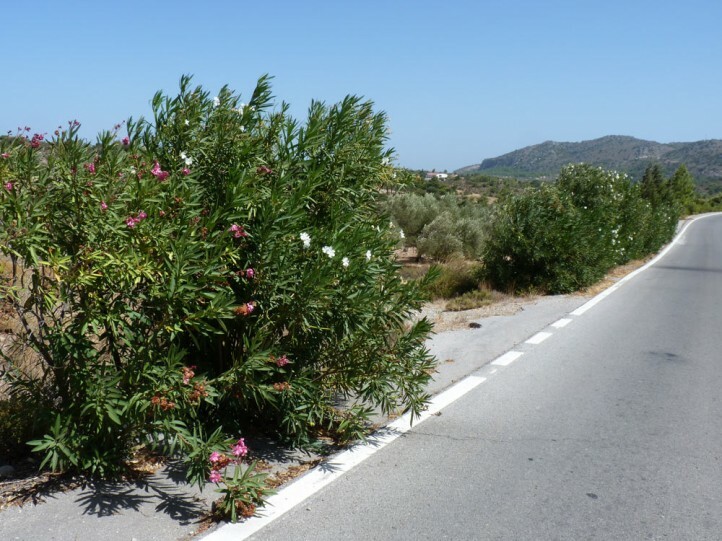 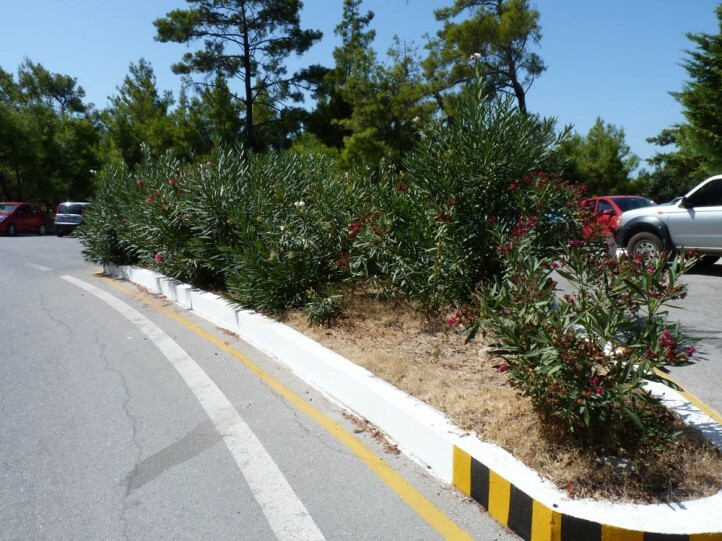 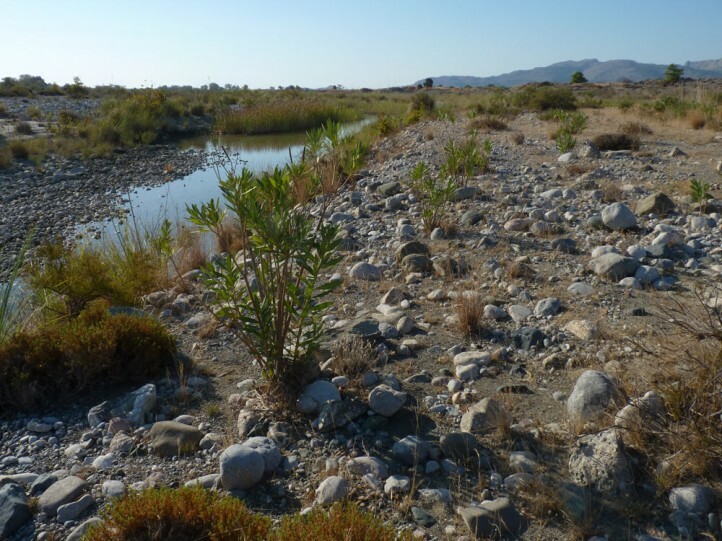 In Southern Europe Daphnis nerii inhabits dry riverbeds with the food plant and roadsides and gardens with cultivated oleander. 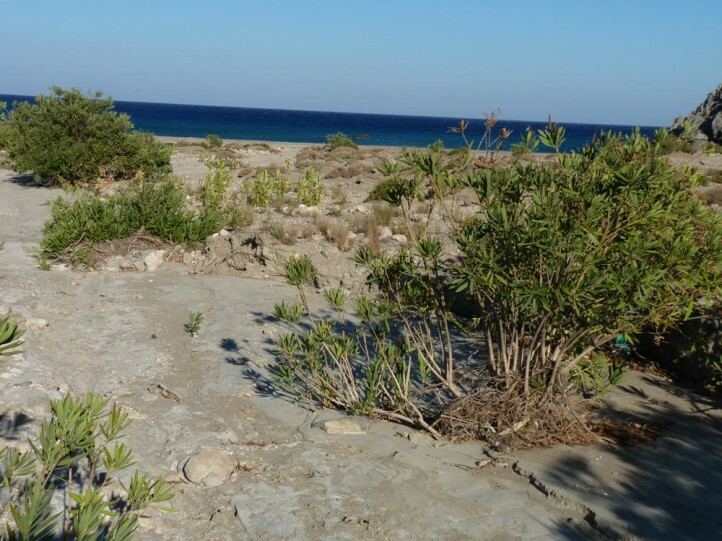 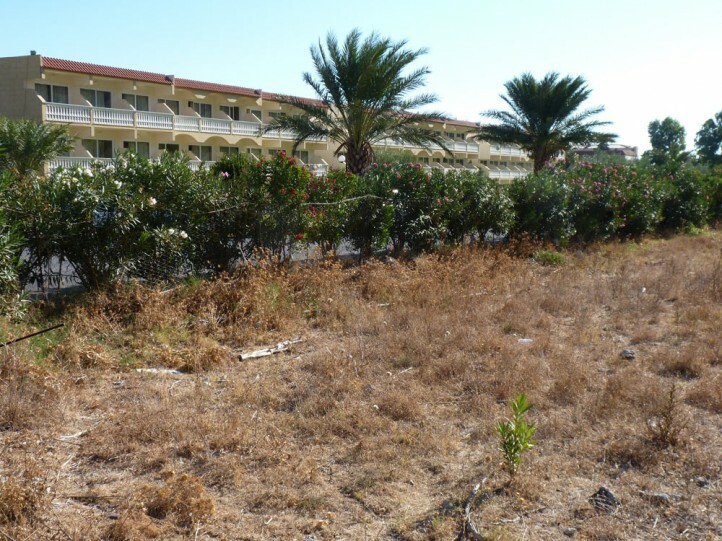 I found, for example, caterpillars and eggs in early September 1993 and 2013 in Rhodes. 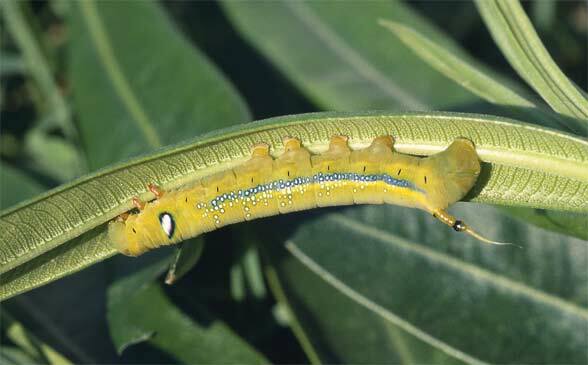 In North Africa, Daphnis nerii is found in oases and gardens. 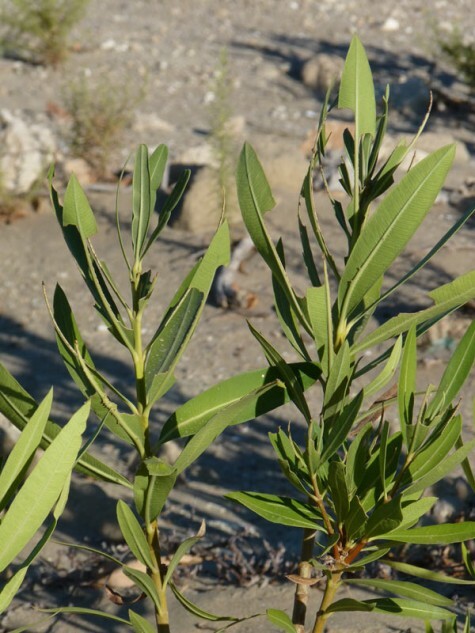 Daphnis nerii has several generations per year in the south and is continous-brooded because there is no overwintering stage. 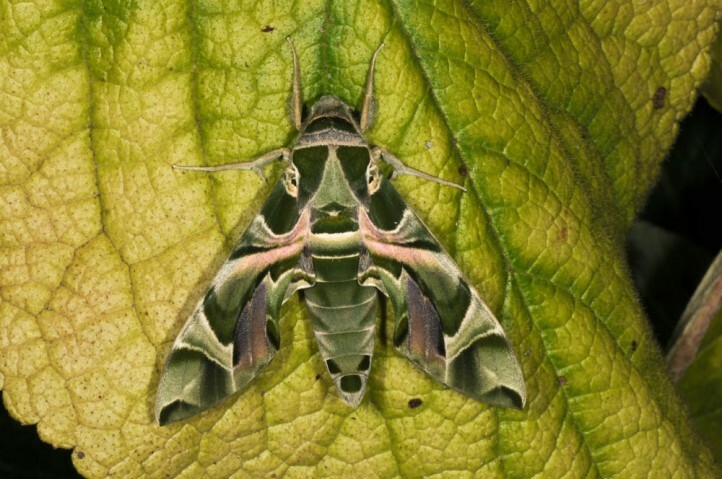 Daphnis nerii reaches occasionally as very rare migrant also Central Europe. 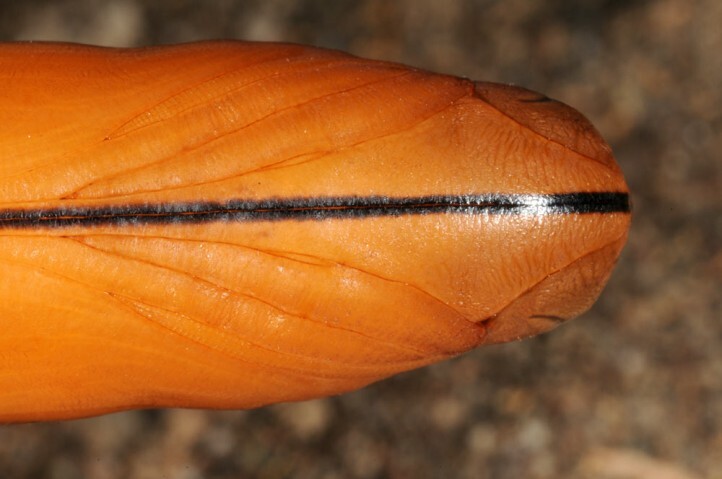 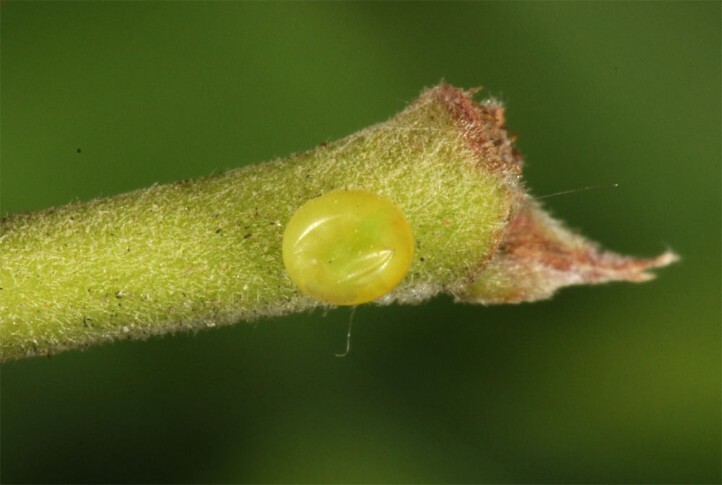 Oviposition takes place on the lower side of the leaves, occasionally also on flower buds or twigs. 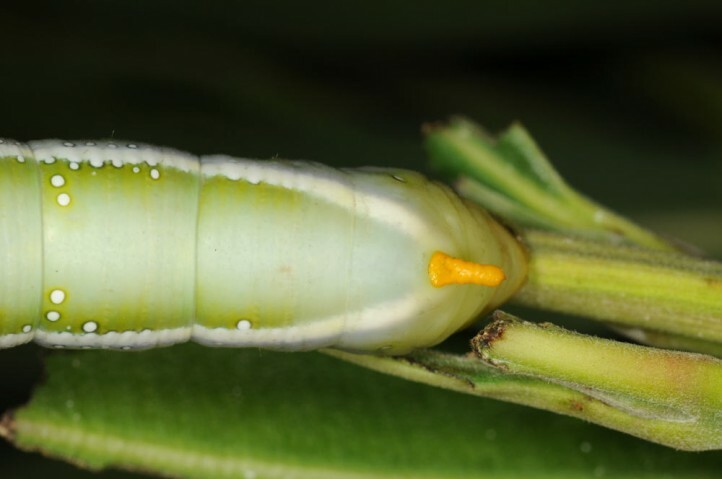 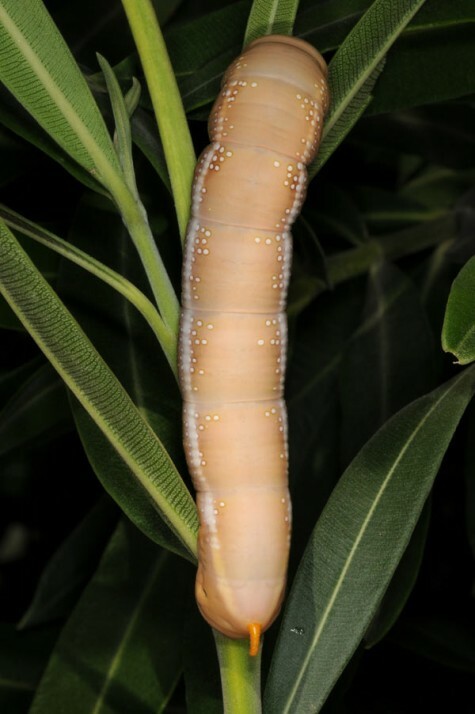 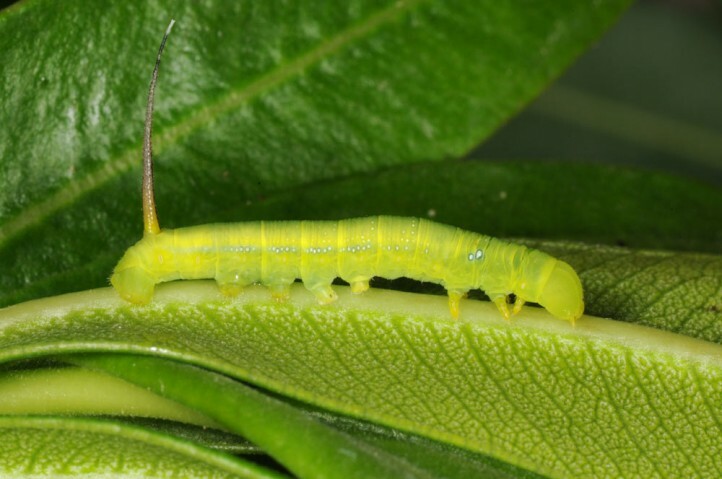 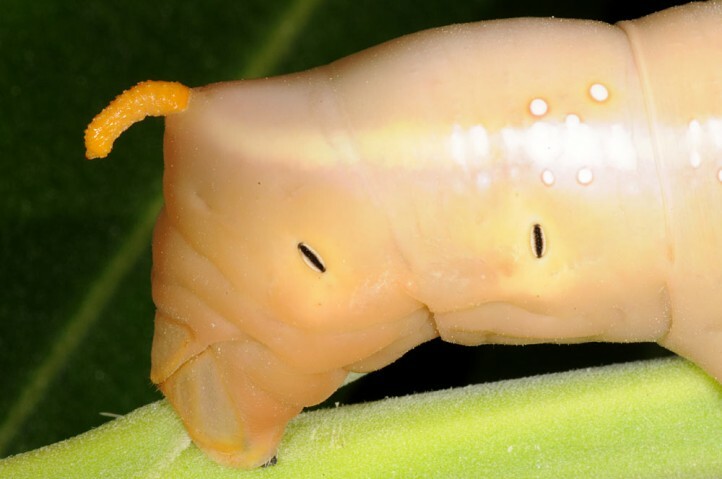 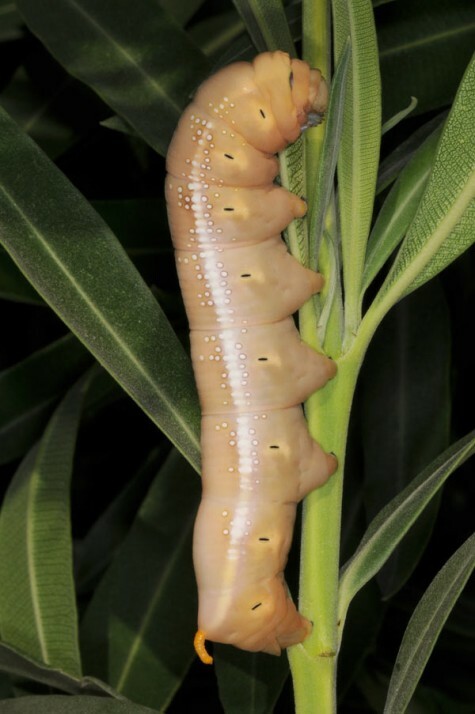 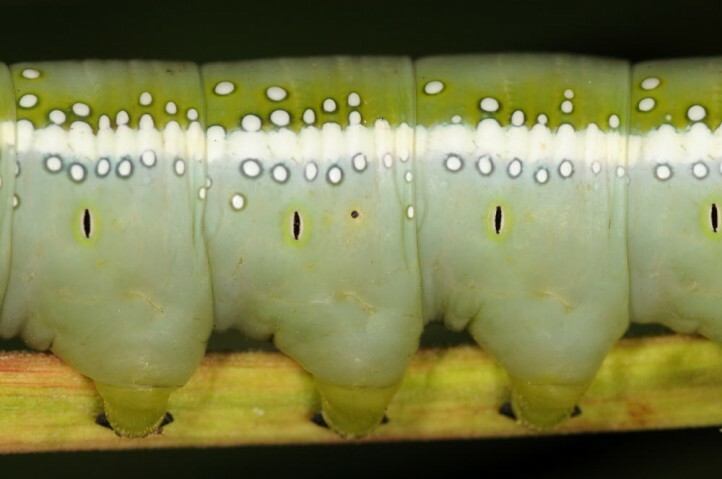 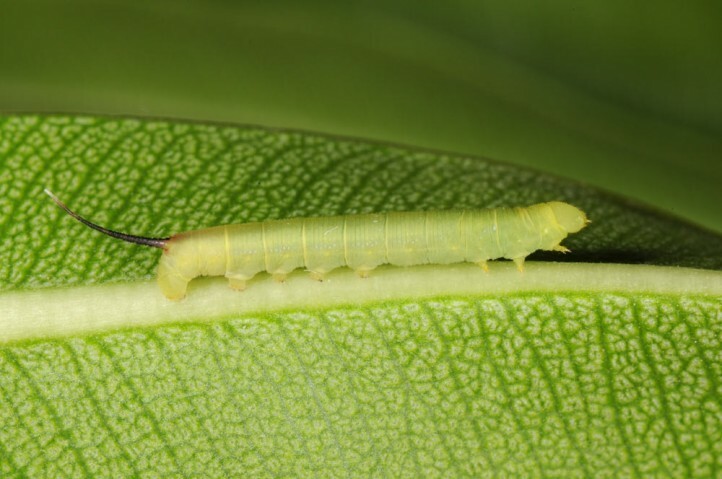 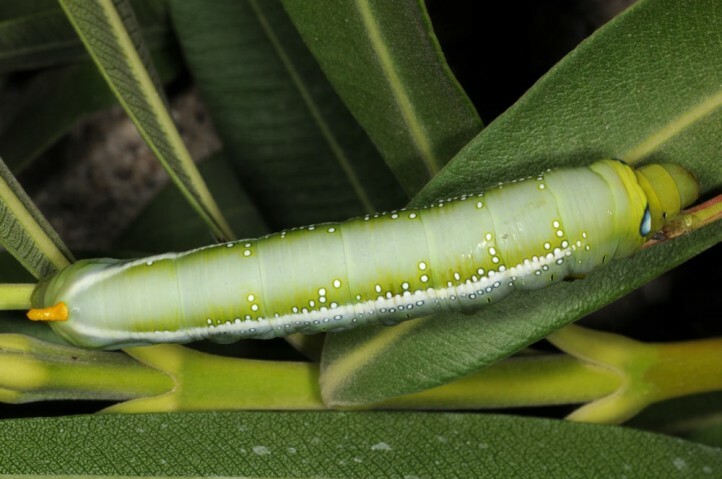 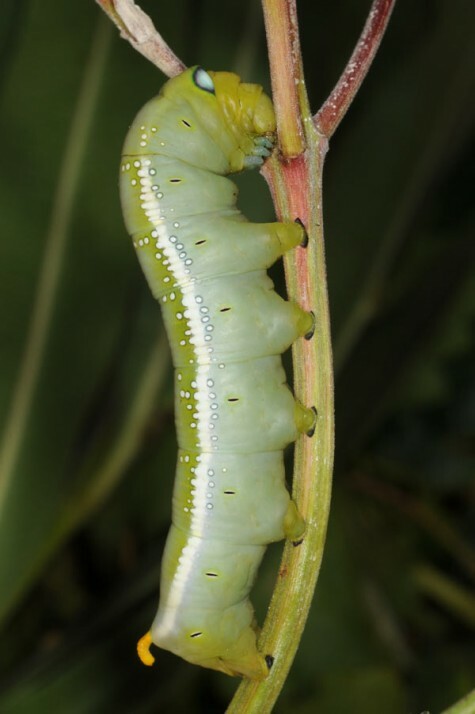 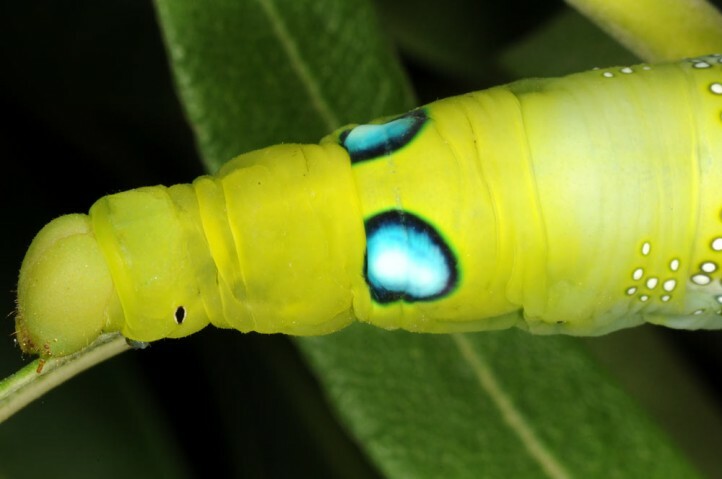 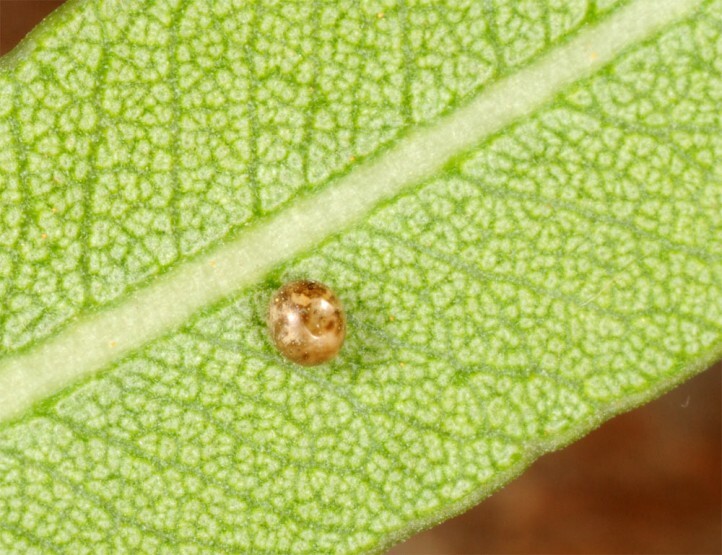 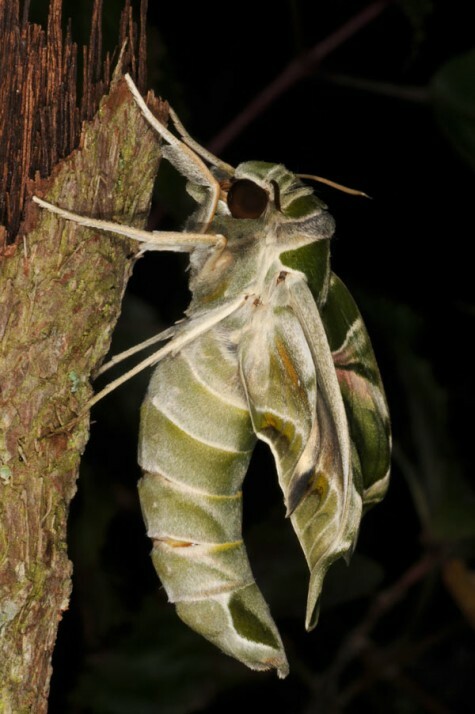 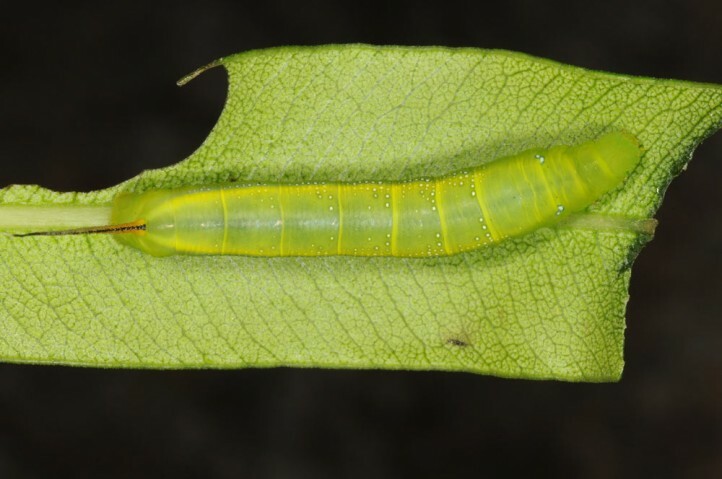 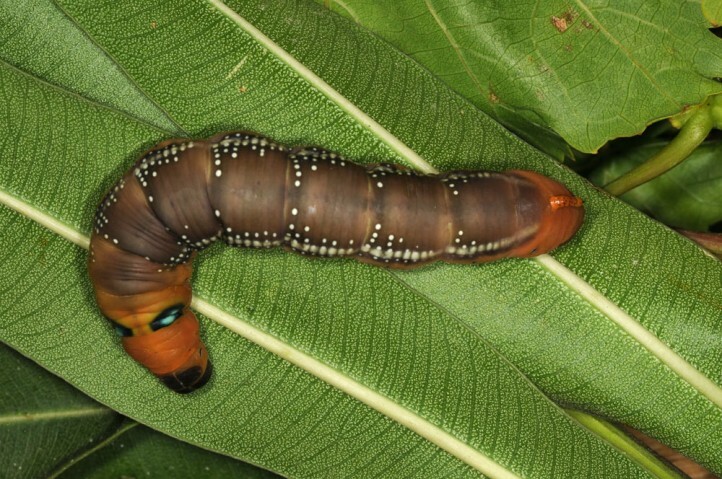 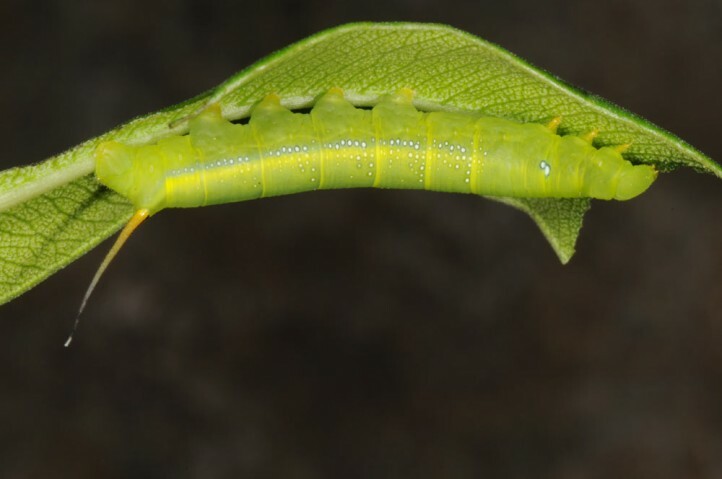 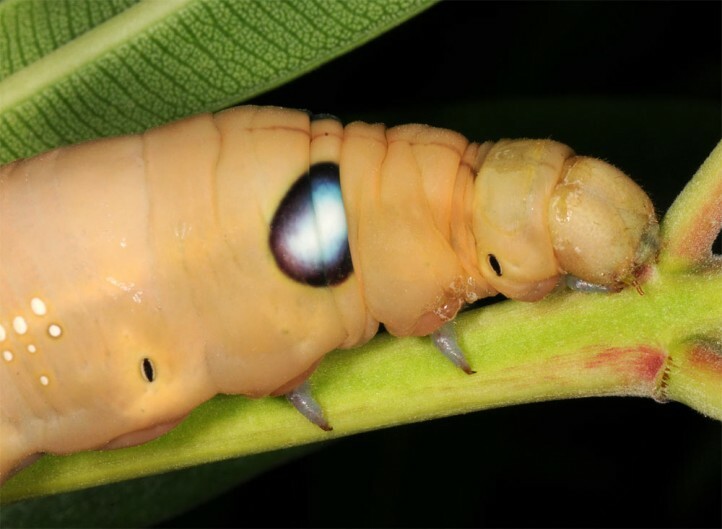 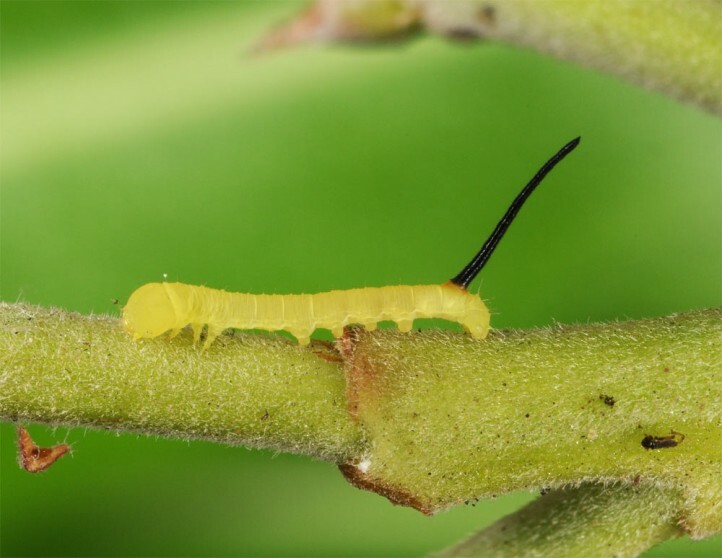 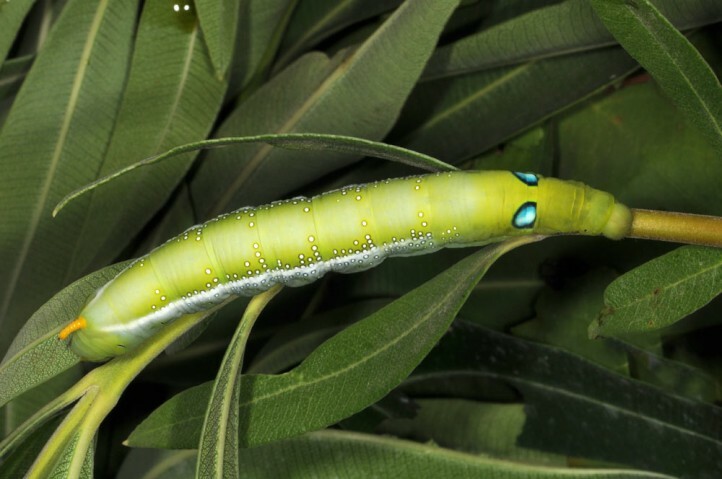 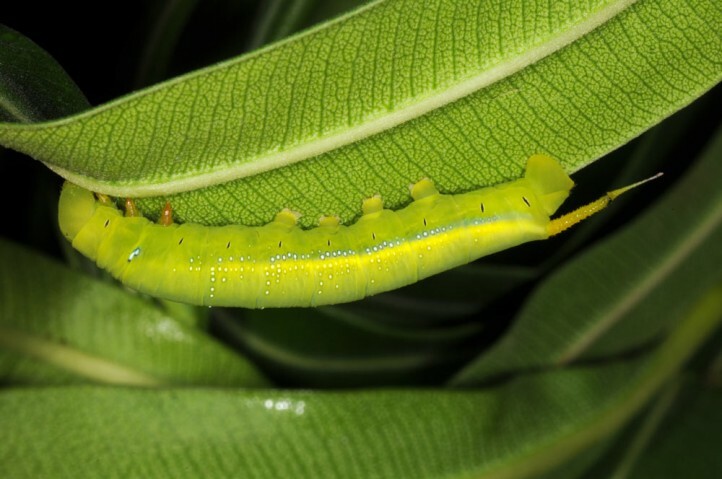 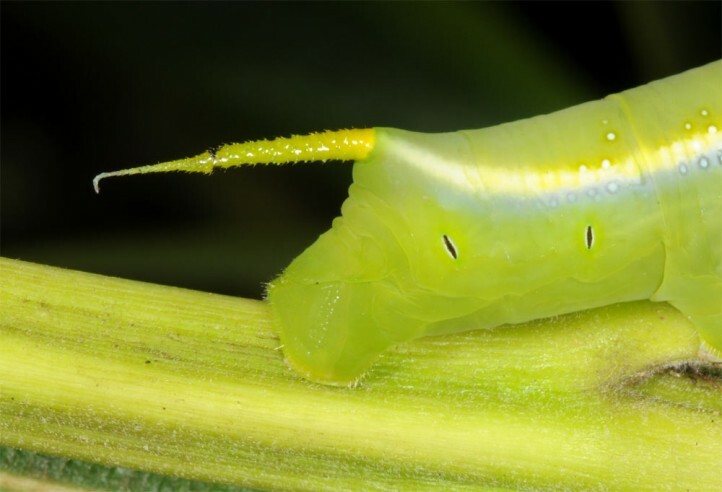 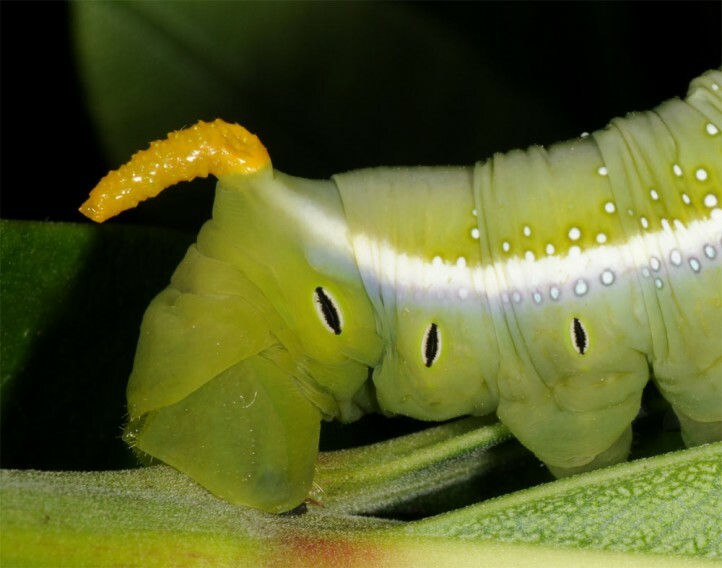 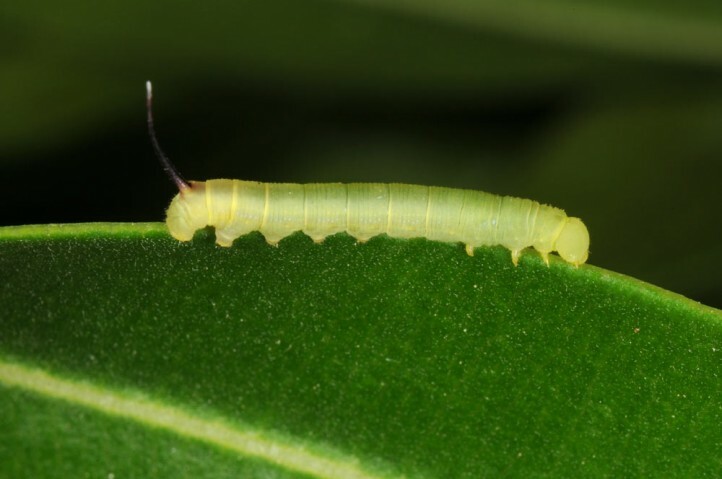 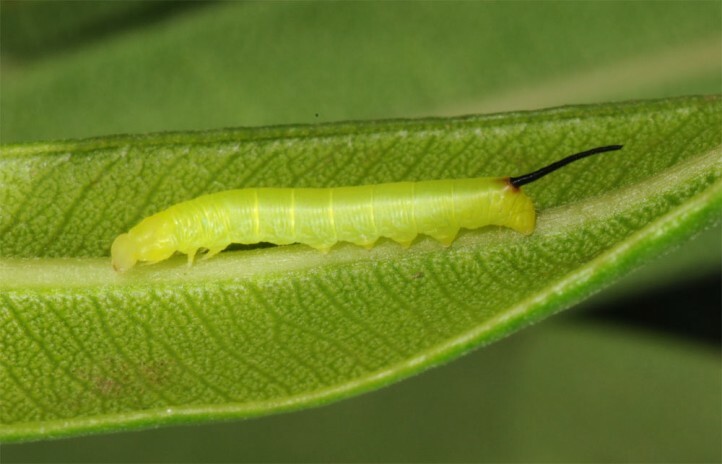 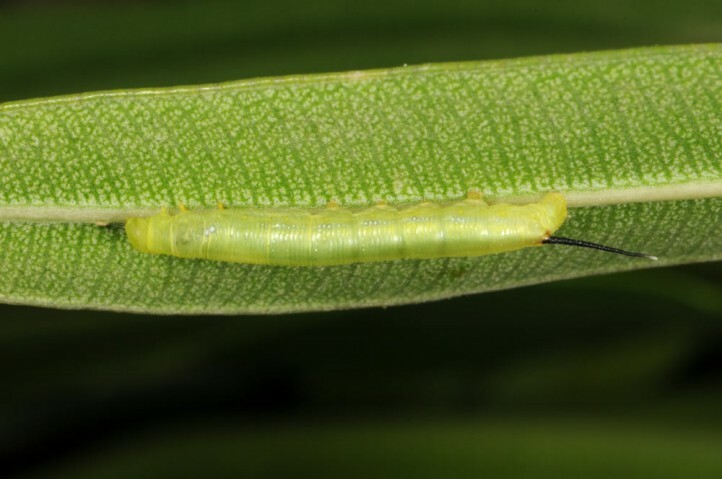 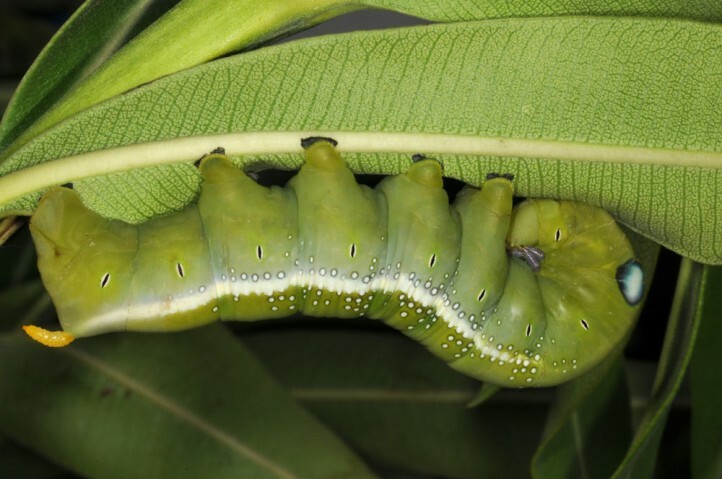 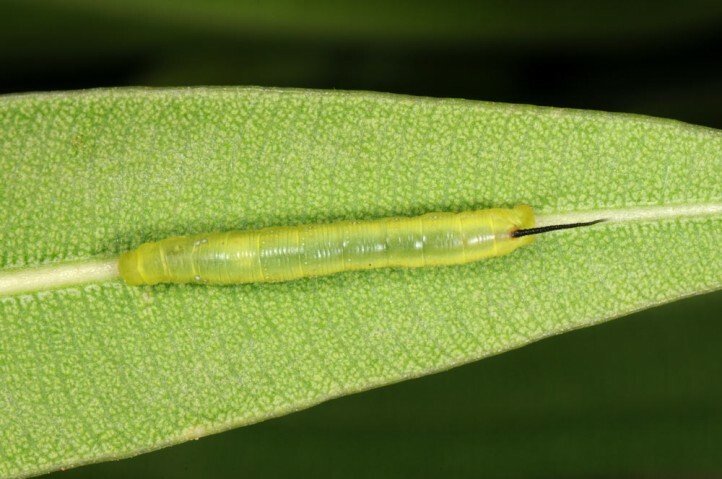 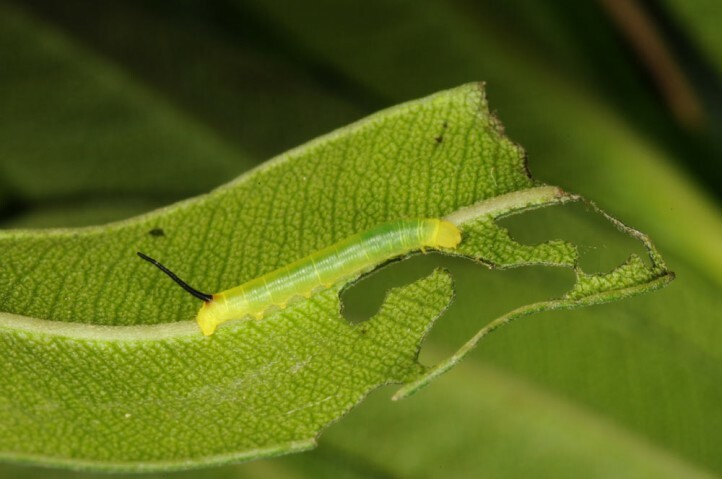 The larvae live on the lower side of the leaves, later on also on the twigs or in the inflorescences. 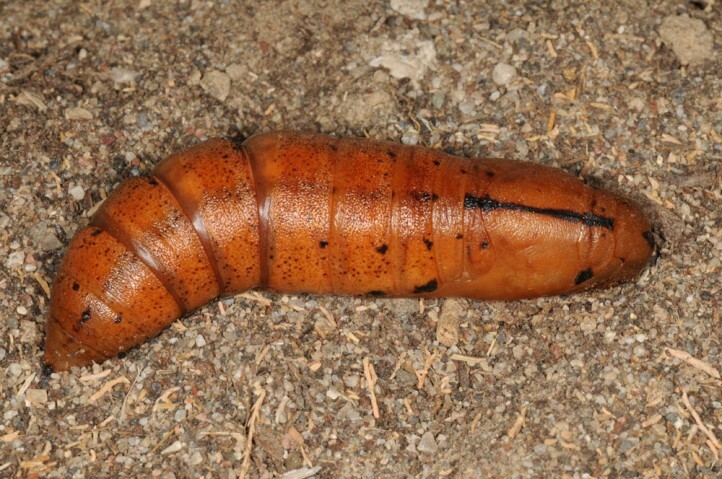 They are conspicious because of their feeding pattern combined with excrements on the ground. 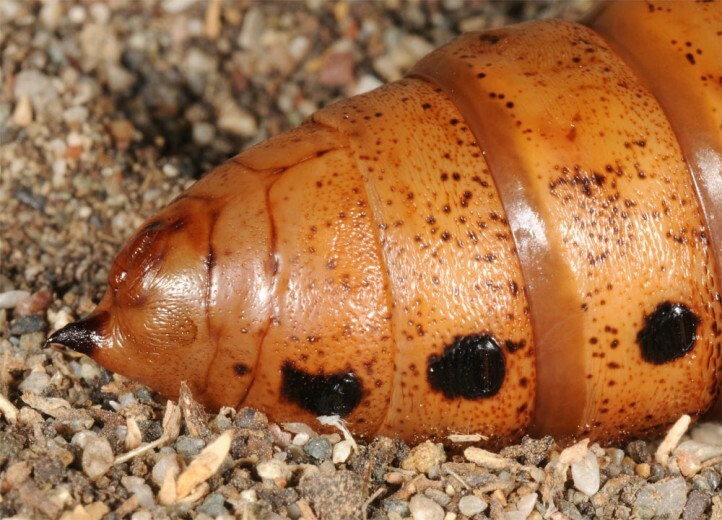 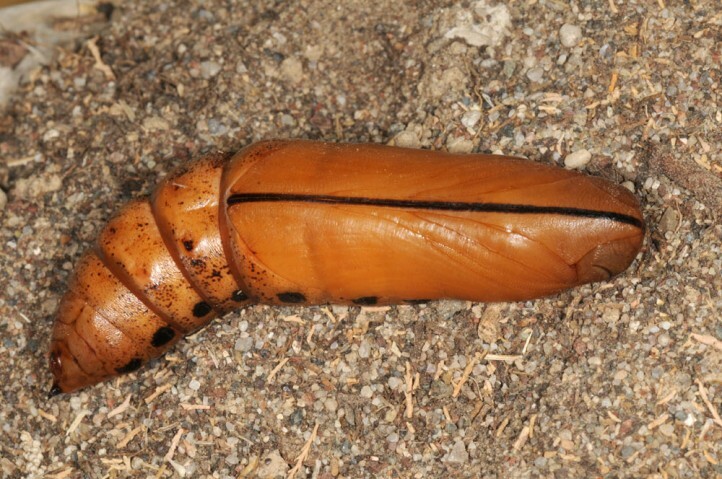 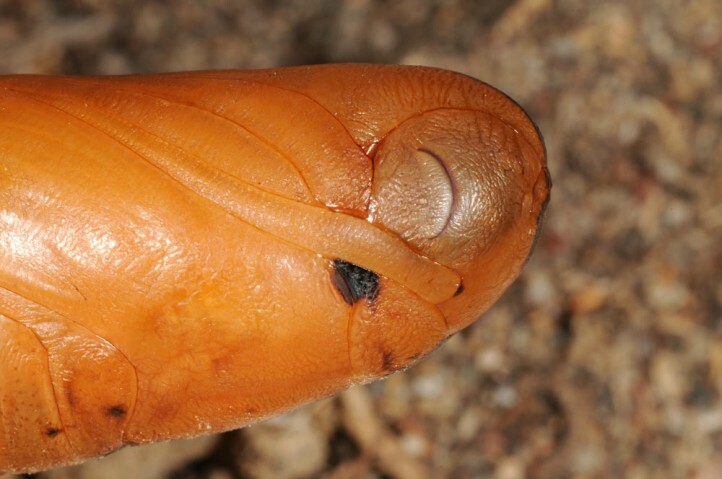 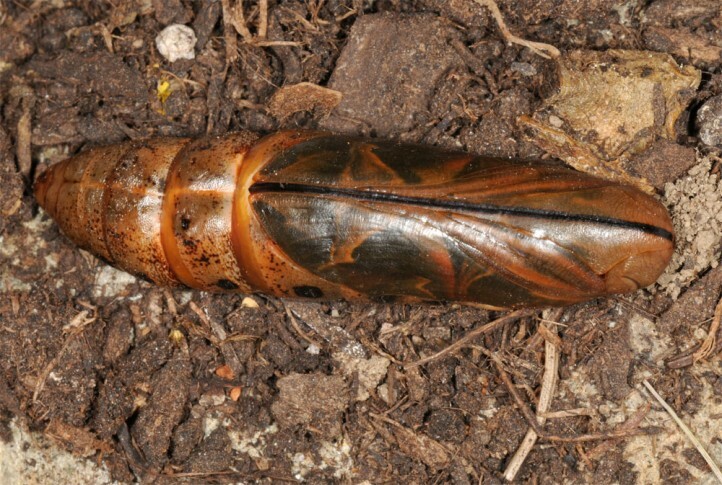 Pupation takes place in a loose cocoon in the litter. 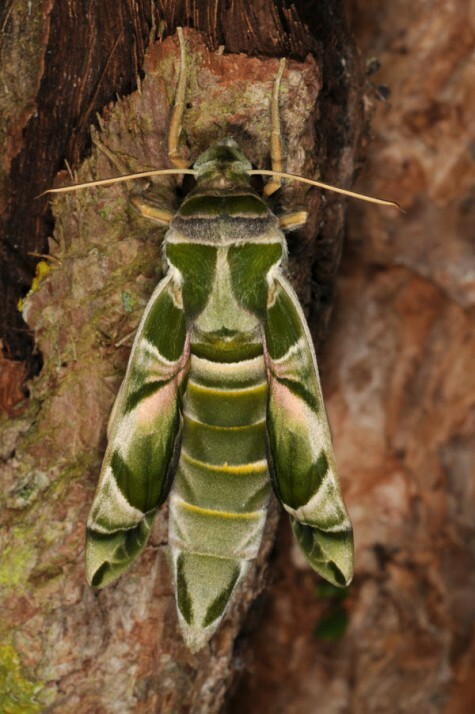 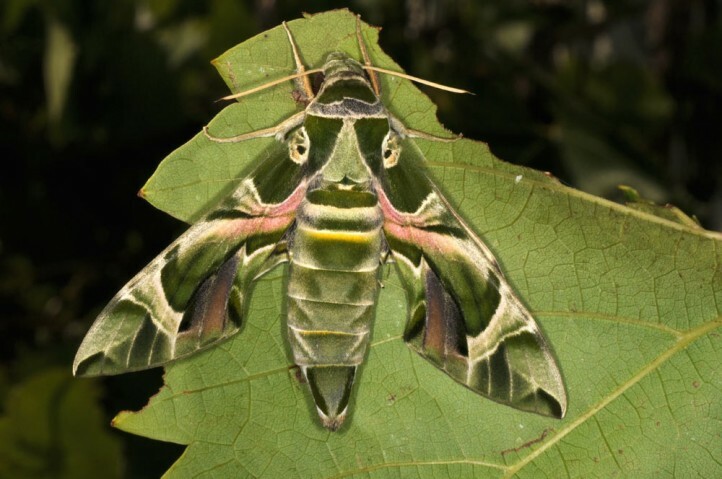 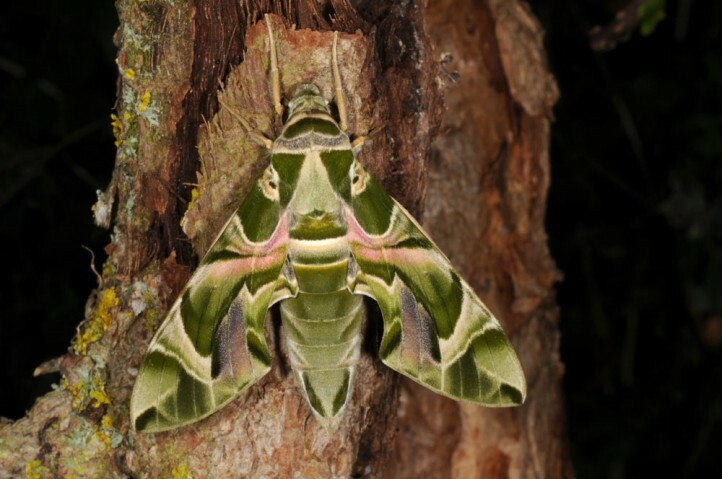 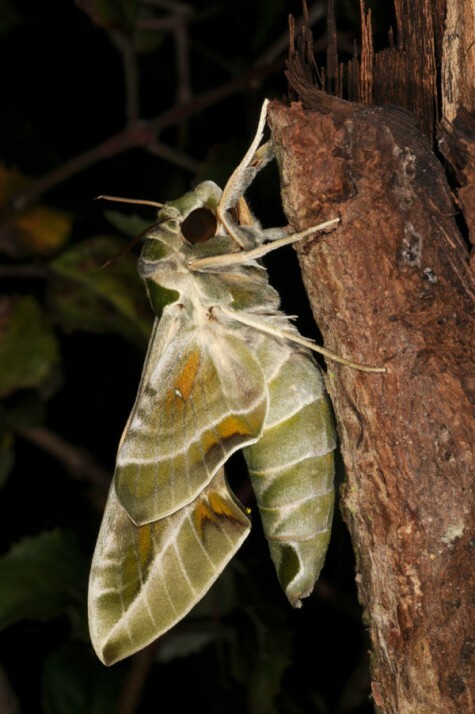 There is no larger threat because Daphnis nerii is a migrant butterfly north of the Alps and can develop in human settlements and hotels in the south. 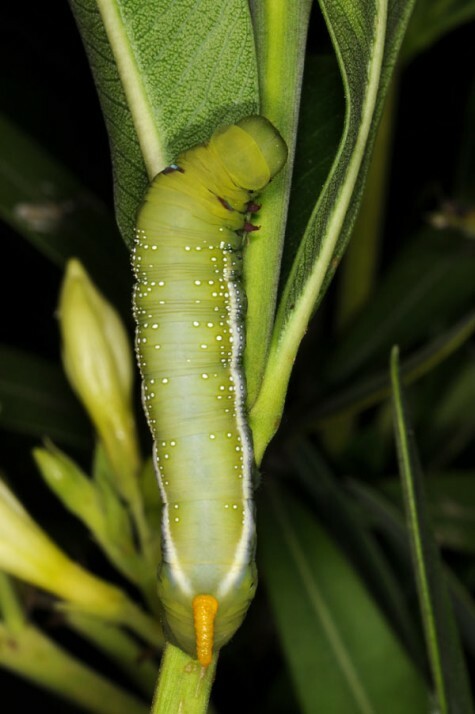 Daphnis nerii is found in tropical and subtropical Africa and Asia as well as on Hawaii. 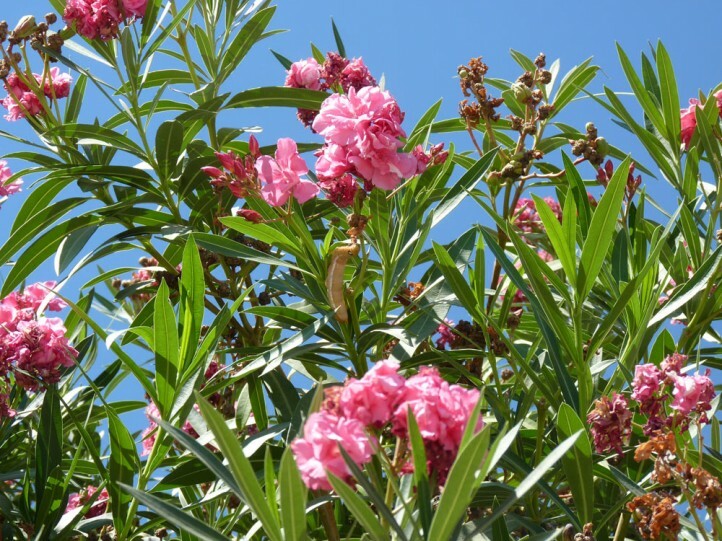 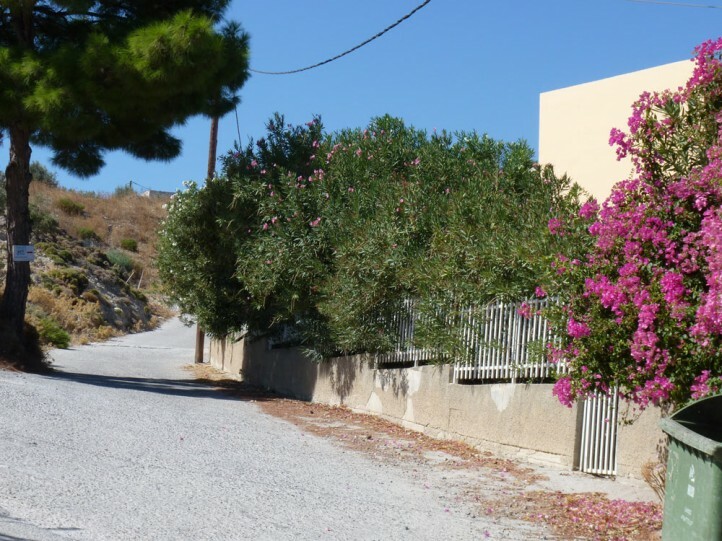 In Europe it is native only in the extreme south and especially in the southeast (southern Greek islands). 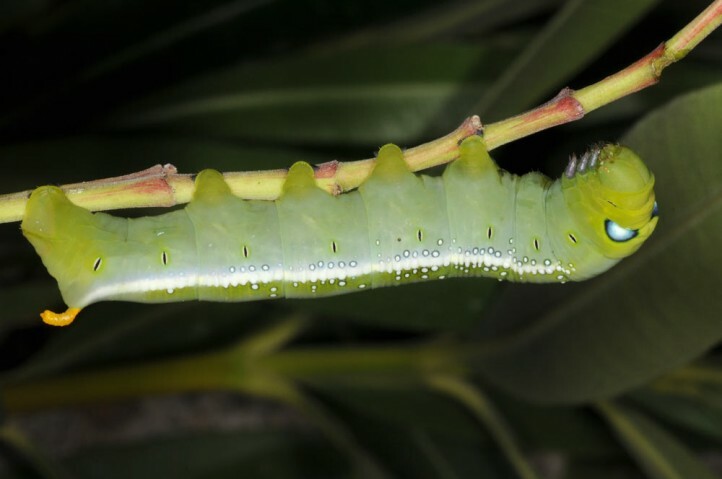 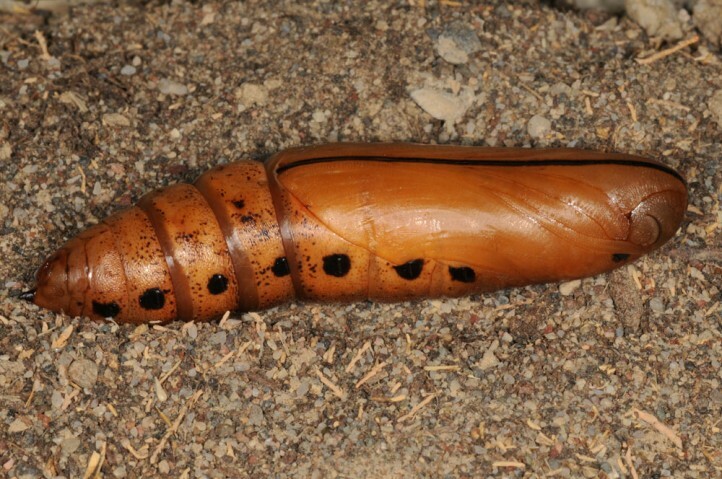 In Rhodes it is quite common and you often can observe dozens of larvae especially in August/September. 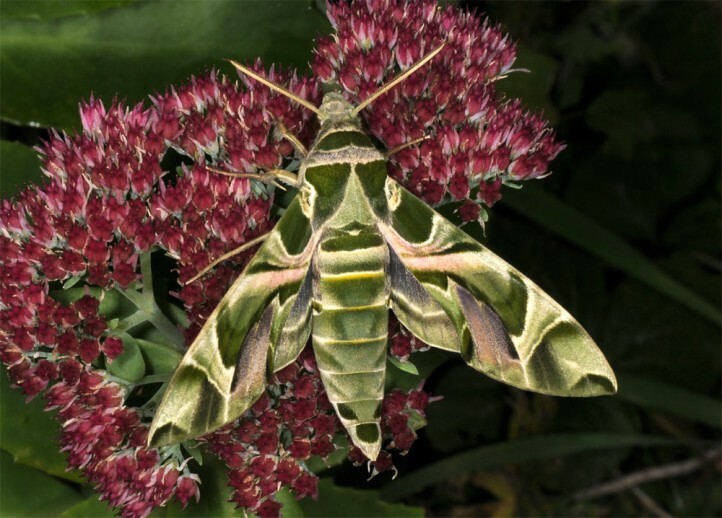 Further north only sporadically migratory individuals are recorded. 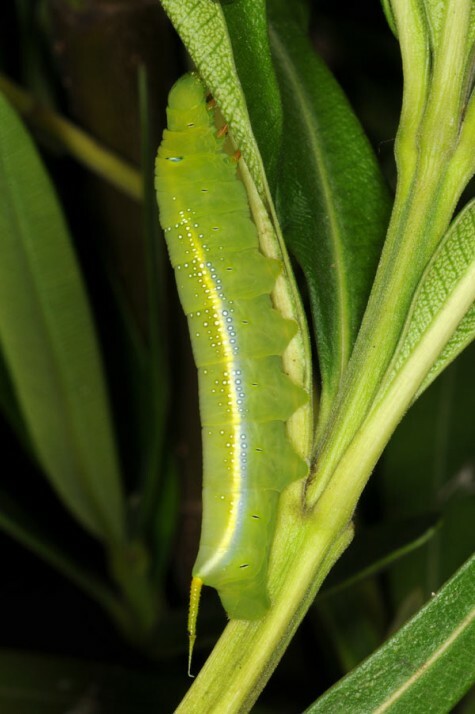 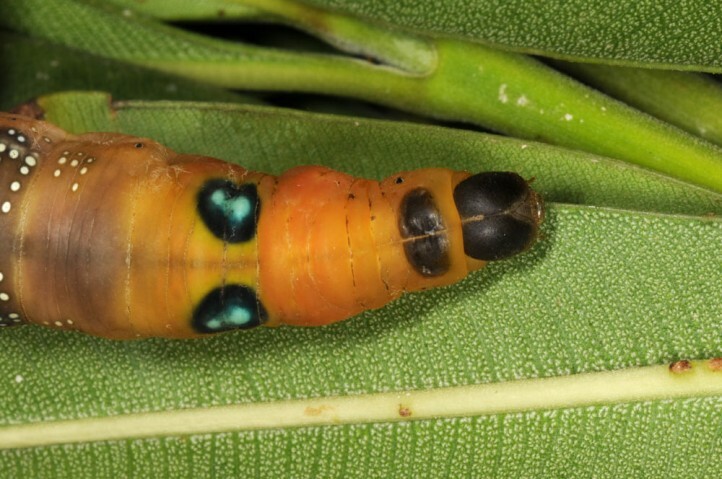 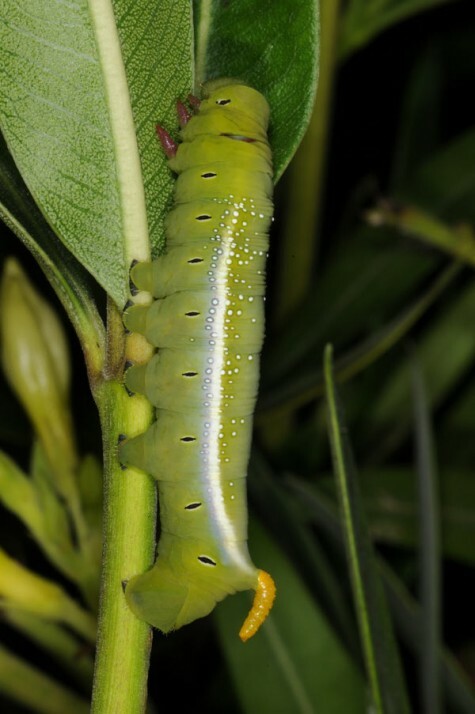 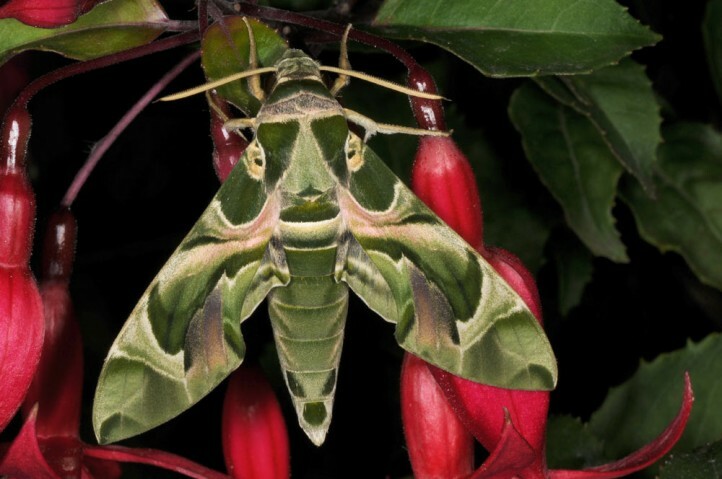 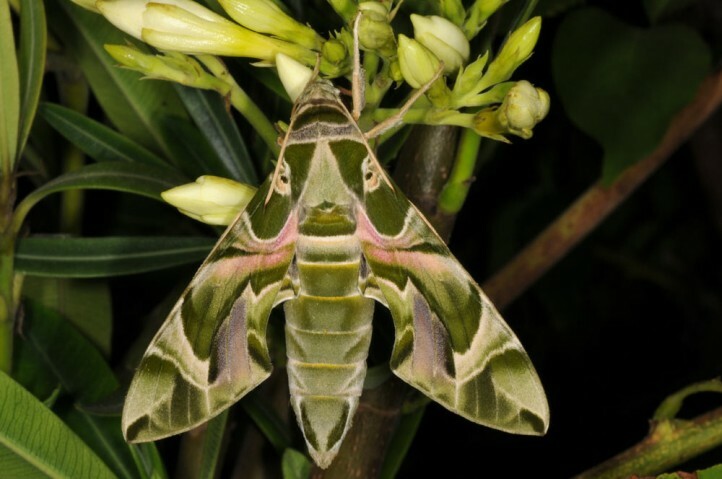 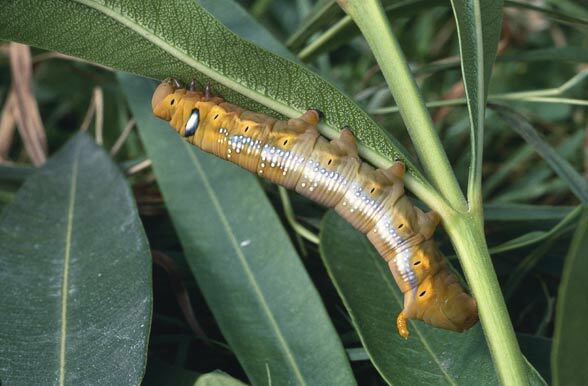 These oviposit also on potted oleanders.